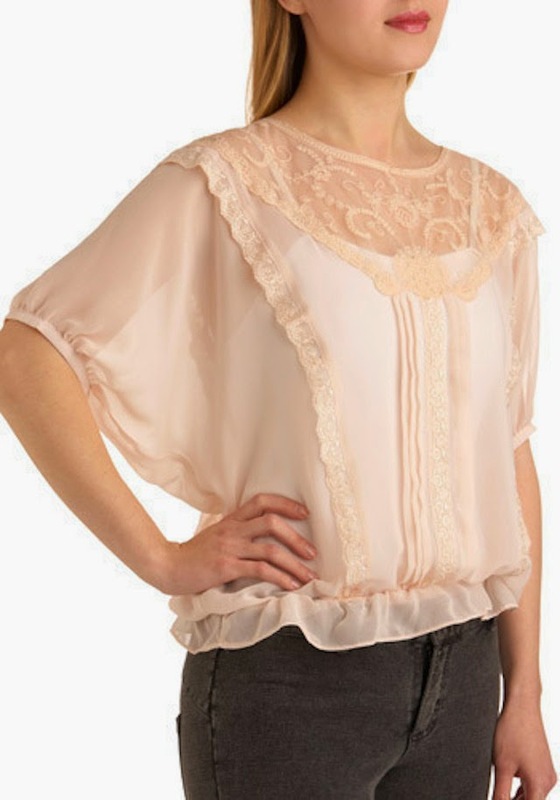 A couple weeks ago I came across this top on ModCloth and I was super excited that I already owned it. I am definitely an amateur when it comes to fashion, so I was stunned to see that my favourite clothing site had released a new item that I had already purchased a few weeks before (the timeline is a little fuzzy... I know it was before Lent because I gave up buying clothes, but how far before I am not sure... when I am in the midst of classes I have a very skewed perception of time), AND in a store in Saskatoon - which is a huge shocker, I always have to shop online to stay somewhat on-trend. This has only happened to me once before, but I do not actually know if I bought the item before it was online, or at the same time - it was a dress that I purchased on a quick weekend trip to California to meet up with my parents and little brother who had driven down for about two weeks. When I got home I came across the wonderful website ModCloth for the first time and found the dress on there. Needless to say, I was pretty pumped then as well. Anyway, I wanted to share this top because I love how delicate and feminine it is and I enjoy the way that the arms are cut. I do find that it rides up a little bit, just because of the elastic at the bottom, but I wear a white tank underneath (because of how sheer it is) so if you keep the tank sticking out below where the elastic hits you, it doesn't ride up as much. I usually pair it with jeans but I have tucked it into a skirt and I really liked the way that it looked that way too. Any suggestions on other ways I could wear it?